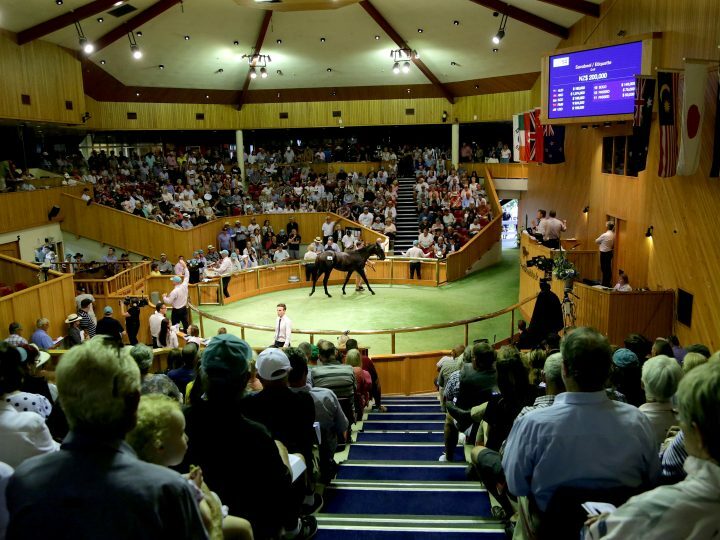 Waikato Stud got away to a flying start during the opening session of Book 1 at New Zealand Bloodstock’s National Yearling Sale. The champion vendors sold 14 of their 16 lots and averaged an impressive $225,000. Their first lot through the ring commanded widespread attention before he was knocked down to leading agent Bruce Perry. 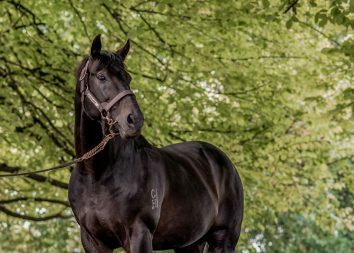 He went to $360,000, the stud’s top price of the day, to secure a Savabeel colt out of the well-related O’Reilly mare Etiquette. She is a sister to the multiple Group One winner and farm resident Sacred Falls. She is also a three-quarter sister to Gr.3 Thoroughbred Club Stakes winner Splashing Out. The Gr.2 Challenge Stakes winner Splurge and the Gr.3 Arawa Stakes winner and Group One performer Packing Pins are also in this family. The progeny of the late Pins were well sought after with Peter Ho parting with $340,000 for a colt out of Home Made. By O’Reilly, she is a sister to the former champion Singapore sprinter Arenti and the famed Glamour Puss family. A daughter of Pins caught the attention of Te Akau chief David Ellis and he made her his own. He went to $300,000 to take away the filly out of the unraced Savabeel mare Exactly Like You. Her pedigree includes the Gr.2 Matriarch Stakes winner Savapinski. Ellis also went to $320,000 for a Savabeel filly out of High Fashion, a dual Group Three winner by O’Reilly. She is from the family of the Gr.2 Waikato Cup winner and Group One placegetter Ultimate Aim. Ellis later secured a Savabeel filly out of a half-sister to the multiple Group One winner Metal Bender for $300,000. 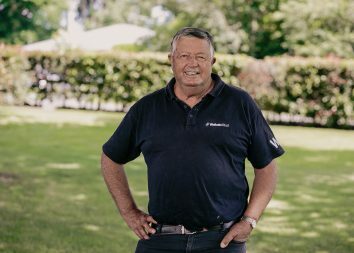 Ocean Park made his mark when his son, a half-brother to the Gr.1 New Zealand Oaks winner and Gr.1 Livamol Classic Savvy Coup came into the ring. Spirited bidding followed before he was claimed by the Hong Kong Jockey Club for $220,000. Respected agent John Foote secured the farm’s top-priced Sacred Falls lot for $150,000. The colt is out of Savabeel’s daughter Fabulist and the family of the Group Two winner Kapsdan and the multiple Listed winner Wyndam Glory.